Full time. Day off: Friday. The Senior Minister is responsible for Worship, Campus Ministry, Social Justice, Stewardship; supervises and works with staff and volunteers; performs rites of passage. Rev. Banks is a life-long Unitarian Universalist, originally from Massachusetts. She taught English to political refugees in Washington State. Her work with cultural studies took her to South Korea, where she taught college-level English conversation. She served as Interim Minister for Religious Education and then Parish Minister at the First Universalist Church in Rochester, and served as a campus chaplain at the Eastman School of Music. Rev. Banks has been at UUCD since August, 2000. The Assistant Minister is responsible for Lifespan Learning, Membership, Congregational Care, Small Group Ministry, and supervises Religious Exploration (RE) staff; works with staff and volunteers; performs rites of passage. Rev. 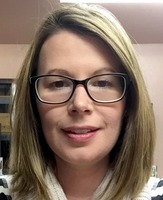 Morgan McLean joined the ministry team in 2016. She is a lifelong Unitarian Universalist originally from Racine, Wisconsin. She has been part of UU congregations in New York, Washington, D.C., Massachusetts, Illinois, and Pennsylvania. Rev. McLean is a graduate of Andover Newton Theological School and currently services as Chair of the UU Partner Church Council Board. She lives in Woodland with her husband, Daniel Kirsch, who is a professor of Political Science. The Intern’s time is split between working as a parish minister with the UUCD congregation and acting as UU Campus Minister with the established UU Campus Community at UC Davis. Interns are available for weddings, memorials, and other rites of passage. Read more about UUCD’s Internship Program and Campus Ministry. Alex is a life-long UU. He studied Peace and Global Studies at Earlham College. After college, he served at the UUA’s D.C. Office for Advocacy. He attends the Pacific School of Religion. He is married to Rev. Christine Haider-Winnett; she is ordained through the Roman Catholic Women Priests. Together they are raising their child. Alex enjoys reading comics, drinking coffee, and making pickles. He applied to UUCD because of our reputation for enthusiastically embracing our responsibilities as a teaching congregation and for our Campus Ministry at UC Davis. Part time, primarily works Sundays. Kate assists Rev. McLean with logistics and staffing. Since 2017, her efforts have ensured that we have reliable childcare, safe spaces, and a welcoming environment for families! (530) 753-2581 x 204, re.youth@uudavis.org Part time; primarily works Sundays. (530) 753-2581 x 203, music@uudavis.org Part time. The Music Director oversees the UUCD music program and directs Spark Choir. In addition to conducting the UUCD Sparks Choir since 2016, Alison Skinner has directed the Davis Chorale since 2010. She was the Artistic Director of the Rainbow Chorale of Delaware, taught high school music at Germantown Friends School, and was the assistant conductor of Philadelphia’s Choral Arts Society. Skinner graduated with honors from UC Santa Cruz, with an emphasis in vocal performance. She holds the Master of Music in Choral Conducting from Temple University, where she was a student of Alan Harler. She was recently appointed the Music Director of the Sierra Master Chorale in Grass Valley. Skinner maintains a private vocal studio. Linda Birse: After Linda earned her BA in Music and a Standard Secondary Teaching Credential, she taught vocal and instrumental music for many years in Esparto, Bakersfield and Davis. While teaching fulltime, she earned her MA in Education/Counseling and a Multiple Subjects Credential, as well as a Pupil Personnel Services Credential. Linda taught 5th grade for 16 years at Patwin Elementary, having her students perform musical comedies that she wrote. In 2013, Linda joined the Juuliebells as a ringer, began conducting in 2016, and became co-director in 2018. 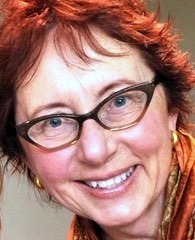 Barbara Meixner earned her BA and MA degrees in music from Mills College, Oakland. She studied harmony, counterpoint, composition and orchestration with noted composers Morton Subotnick, Luciano Berio and Darius Milhaud. She began attending UU services in 1992 and became a member in 1998. For most of her adult life, Barbara has been a professional Suzuki piano teacher and arranger of accompaniments for much of the Suzuki piano repertoire. Since January 2010, her focus has been leading and arranging music for the UUCD Juuliebells Handbell and Handchime Choir. Accompanist, Andrei Baumann, is a soloist and chamber musician who has performed extensively in the USA, Europe, Canada, and Venezuela. He has a Masters of Music in Piano Performance from New England Conservatory in Boston, a Künstlerischer Ausbildung Diploma from the Hochschule für Musik und Darstellende Kunst in Stuttgart, Germany, and a Bachelor of Music degree at the Glenn Gould School of The Royal Conservatory of Music in Toronto, Canada. Andrei is originally from Davis, and has returned to be near family. He’s been with UUCD since 2018. Office hours 9am-3pm, Monday – Thursday. My position serves as a point of welcome, contact, and connection for visitors, newcomers, Members, Friends, Staff, and other organizations. I support the work of UUCD staff and leadership through communication, publications, calendaring, and collaboration. As Administrator, I work with our Bookkeeper as part a team that supports the financial workings of the church, including budgeting, bill pay, payroll, hiring, and rental contracts. We also work to support the Financial Officer, Stewardship Team, and Human Resources. Along with the Facilities Manager, my position helps to support the Operations Co-Chairs, who in-turn support the Board vision by problem-solving as issues arise. I’ve worked at UUCD since 2004, after completing my Masters at UC Davis. Part time, two days per week (usually Tuesday and Thursday). Working with the Congregational Administrator, Financial Officer, and Operations Co-Chairs, I provide accurate accounting and business records utilizing generally accepted accounting practices and standards for nonprofits. I’ve worked at UUCD since 2015. Bookkeeper Essential Functions: Maintains appropriate and accurate financial records for the Church; Prepare monthly financial reporting package for Finance; Timely prepare and report local, state, and federal tax information; Act as a backup to the Congregational Administrator to process payroll; Receive, record and ensure acknowledgment of all gifts, donations, and cash; Prepare for mailing the quarterly giving statements and annual tax statements to donors; Compare monthly/annual income and expenditures to approved budgeted amounts; Prepare invoices for renters; Meet regularly with the Financial Officer and/or Finance Team to review statements. I support the use of the church buildings and grounds by ministers and staff, church members and friends, renters, and the general public by: maintaining and repairing the buildings and hardscape in order to keep them ready for use; providing facility access; resolving accessibility, building security, and site safety issues; assisting Grounds volunteers as needed; and coordinating rental assistance, A.V. assistance and/or cleaning assistance as needed. I work in collaboration with the Church Staff and Operations Co-Chairs. Davis resident since 1990. Native of Idaho. Graduate of University of Oregon (BA, English, 1989). Caretaker at UU Church 1993-1995. 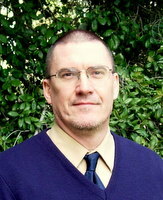 17 years experience in academic support services at UC Davis Registrar’s Office. 5 years experience in facilities and rental management. 5 years experience in maintenance, repair, janitorial and grounds maintenance. Skills include: light carpentry, painting, bilingual in Spanish. Hobbies include: travel, learning languages, arts & crafts, attending theater performances, renaissance faires and comics conventions with my wife and daughter.